Las Vegas night clubs contribute to making this a 24-hour party town. You could stay on the famous Las Vegas strip for two months, go out every night and not visit the same place twice.There is an unbelievable choice of bars, dance bars, sports bars, cigar lounges, pubs and nightclubs to choose from. Whatever your pleasure, you’re sure to find it on the strip. Beacher’s Rockhouse Bar at Imperial Palace – Off-the-wall. Blondie’s Sports Bar at Planet Hollywood – Great drink specials. Carnaval Court Bar & Grill at Harrah’s – Eat, drink, and dance. Casa Fuente at Caesar’s Palace– A lounge for cigar connoisseurs. Centrifuge at MGM Grand – A new spin on Las Vegas nightlife. Celebration Lounge at Tropicana – Top acts, no cover charge! Cleopatra’s Barge at Caesar’s – A famous Las Vegas hot spot! Coyote Ugly at New York New York – Hot female bartenders. Gilley’s Saloon at New Frontier – Cold Beer and Dirty Girls. Houdini’s Lounge at Monte Carlo – An intimate bar for lovers. House of Blues at Mandalay Bay – A top Las Vegas night club spot. Images Lounge at Stratosphere – High energy, Pop, R&B & Rock. Jet at Mirage – Three dance floors, four bars, non-stop energy. Kahunaville at Treasure Island – Island-infused eats and drinks. Krave at Planet Hollywood – Night spot for gays and lesbians. La Scena Lounge at Venetian – Italian architecture ambiance. Napoleons at Paris Las Vegas – Melodic live jazz fills the air. Nine Fine Irishmen at New York New York -Stout and whiskey. Nefertiti’s Lounge at Luxor – Egyptian decor with modern amenities. Petrossian Bar at Bellagio – Champagne, caviar and premium cigars. Pub & Brewery at Monte Carlo – One of the largest brewpubs. Red Square at Mandalay Bay – Over 100varieties of vodka! Risque at Paris Las Vegas – Experience true Las Vegas nightlife. Serenity Hookah Palace at Stratosphere -No alcohol served. Sports Bar at the Mirage – Overlooks the Race & Sports Book. Studio 54 at MGM Grand – A truly unforgettable experience! Tequila Bar at Bally’s – Mexican holiday every day atmosphere. Zuri at MGM Grand – Vodkas, bourbons and fine cigars. Comedy Clubs are an essential part of the Las Vegas night clubs scene. From the biggest names to asyet unknown wannabes, you can see them all on the strip. 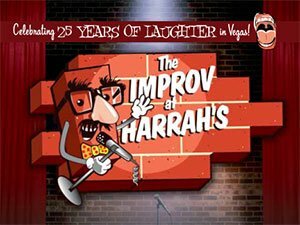 The Improv at Harrahs – Voted Best ComedyClub 4 years in a row! Redneck Comedy Live at Sahara – “Redneck wisdom” humor. Riviera Comedy Club at Riviera – Vegas’ original comedy showcase. The Comedy Stop at Tropicana – A chuckle-a-minute since 1983. The Second City at Flamingo – Inspired, insightful, intelligent humor. Click to order tickets and passes for Las Vegas Night Clubs.